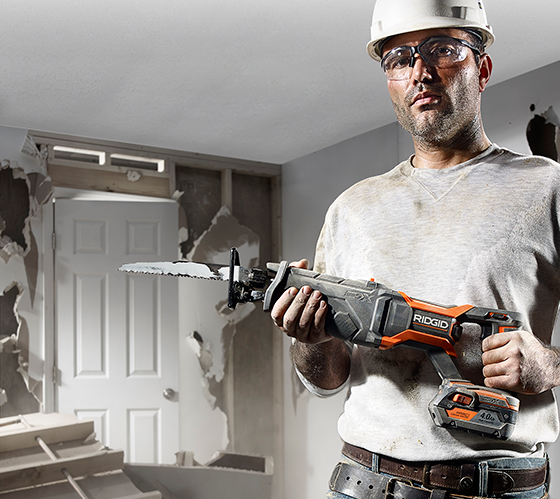 RIDGID® power tools are designed and engineered to be “Best in Class” with the highest quality standards. In addition, RIDGID power tools are backed by the best warranty in the industry thus making them the choice by Professionals who count on them to earn a living. Powerful. Durable. Professional. RIDGID Power Tools deliver best-in-class performance, innovation and features - all backed by the industry-leading Lifetime Service Agreement. When you register your tools within 90 days, the Lifetime Service Agreement gives you free parts, free service, and free batteries for life. RIDGID® offers over 30 best-in-class 18-volt tools that are compatible with any generation of our 18-volt batteries. All these tools are backed by the industry-leading Lifetime Service Agreement. RIDGID® air tools, comprised of compressors, nailers and cutters, deliver the power and reliability to meet the tough demands of any jobsite. From sanders, drills to saws find the perfect powerful corded tool for your next project or job. Jobmax™ is the world's most versatile tool system on the market. Whether your cutting, sanding, drilling, or driving, Jobmax™ has a tool option for a huge variety of applications.